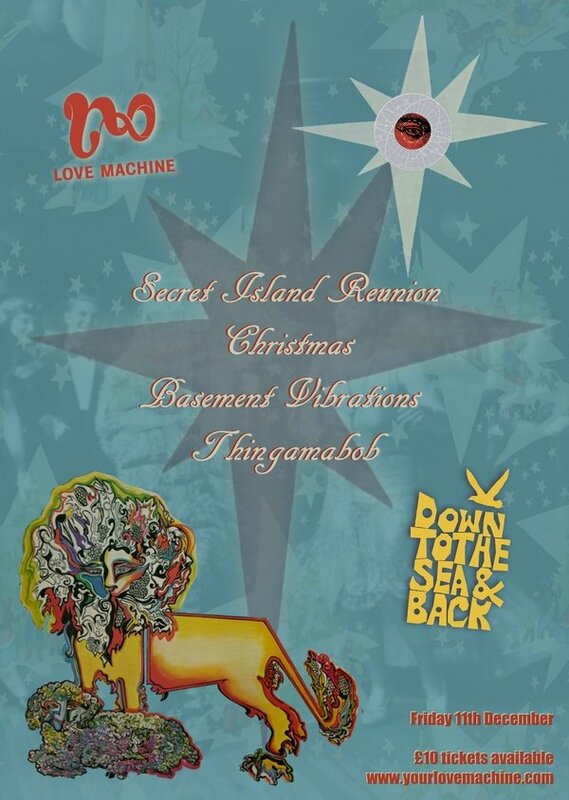 The Love Machine is a positively engaged collective pushing forward to enable the discerning party persons of this planet to come together on an adhoc basis, to listen and lose themselves within music. We strive to present the ability to be free within a space, without prejudice and inhibition. Showing kindness and interest in our fellow travellers is our mantra. Down To The Sea And Back follows the continuing journey of the Balearic Beat, with DJs Kelvin Andrews & Balearic Mike providing a mixture of off the beaten track records to evoke the original spirit. High frivolity is expected and lots of super sonic sounds through the Love Machine sound system.